Shares of Facebook Inc (NASDAQ:FB) fell sharply over the past couple of trading days. Although the stock may signal immediate-term oversold, an intermediate-term look reveals a more concerning pattern in play that bears could profit from. Before digging into a bear case for Facebook stock for a trade, allow me to clarify that although the stock has largely trotted sideways since July 2017 and more volatility looks to be around the corner, my personal longer-term outlook for the stock remains positive. Even with more regulatory oversight Facebook is well positioned to profit from ever more “online” advertisement spend, virtual reality, communication trends and more. So you know, Facebook isn’t just Facebook but also Whatsapp, Instagram and plenty more ventures. We will see how all this shakes out down the road, but for now please note that the following trade idea for me is not a longer-term bear case but rather specifically a nearer-term trade idea. On the multiyear weekly chart, we see that FB stock has seen an orderly and well-defined push higher, and one that constantly found support on a weekly closing basis at its yellow 50-week simple moving average, i.e. roughly the 200-day moving average. Even this week so far this moving average is holding as support. The question it thus what might become the next price level of attraction on the downside if and when said moving average were to break on a weekly closing basis. Also note that while FB stock continued to climb in the last couple of months of 2017, its MACD momentum oscillator at the bottom of the chart started to print lower highs. This type of “bearish divergence” usually is … well, bearish. On the daily chart, we see that as FB struggled to find new upside momentum in late 2017 it began tracing out what we now can refer to as a head and shoulders pattern as marked by the blue bubbles on the chart. The lower high from early March this week gave way to the first lower low with a break below horizontal support that lies somewhere in the $167 to $173 range. In my eye the bear case here through the technical lens is well established, but it does not mean one has to chase this stock lower after a two-day and nearly 10% drop. Rather, any bounce higher toward the $174-$175 range would offer better reward-to-risk to leg into a short position either via the stock or via long puts or put spreads. A first downside target then becomes the high $150s and ultimately a price target closer to the low $150 makes sense. Any strong bullish reversal, particularly on a weekly closing basis, would be a stop loss signal. Check out Anthony Mirhaydari’s Daily Market Outlook for March 21. 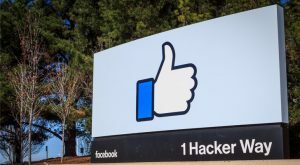 Article printed from InvestorPlace Media, https://investorplace.com/2018/03/trade-day-facebook-inc-fb-stock-hold-fold/.